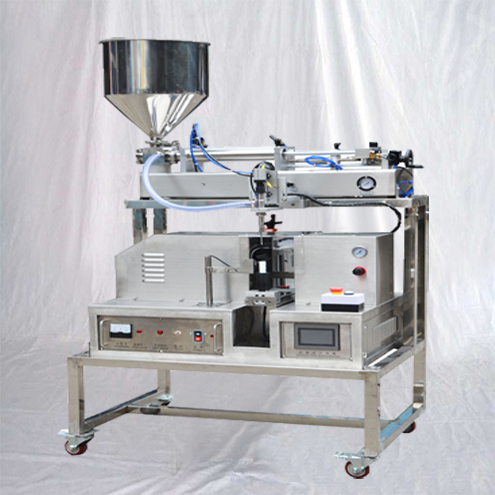 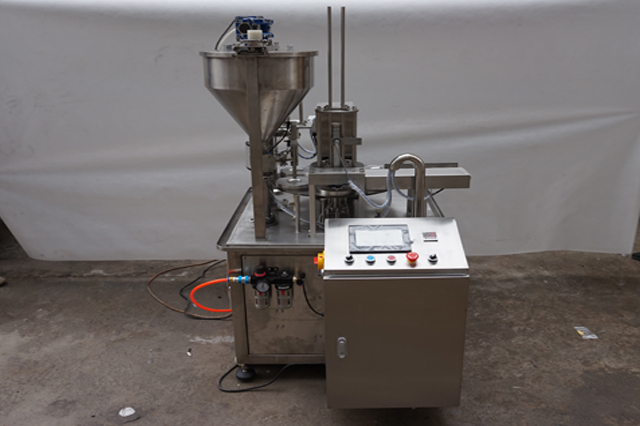 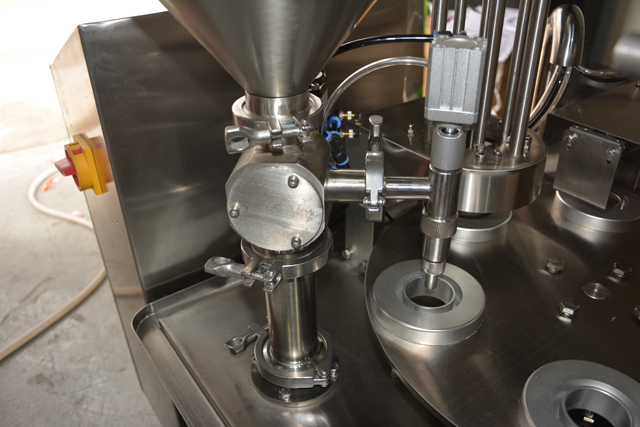 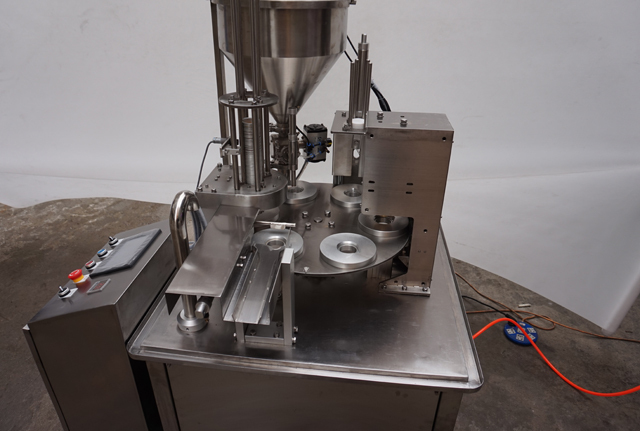 Fully automatic rotary cup filling & sealing machine can auto loading the empty cups, empty cups detecting, auto quantitative filling product into cup, auto loading the aluminum foil seal lids, auto sealing cup, auto discharging the finish product. 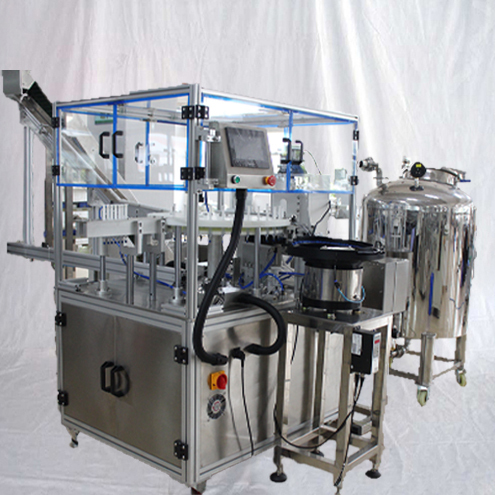 Base on different mold quantity, its capacity from 800-4800 cups per hour, suitable for the foods and beverage factory production needs. 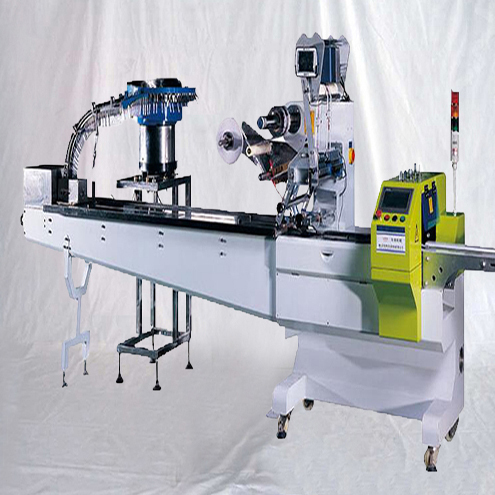 Rotary plate driven system: servo motor with precision planetary reducer for the rotary table stepping running, it can rotate very fast but avoid material splash because servo motor can start and stop smoothly, and also high positioning accuracy. 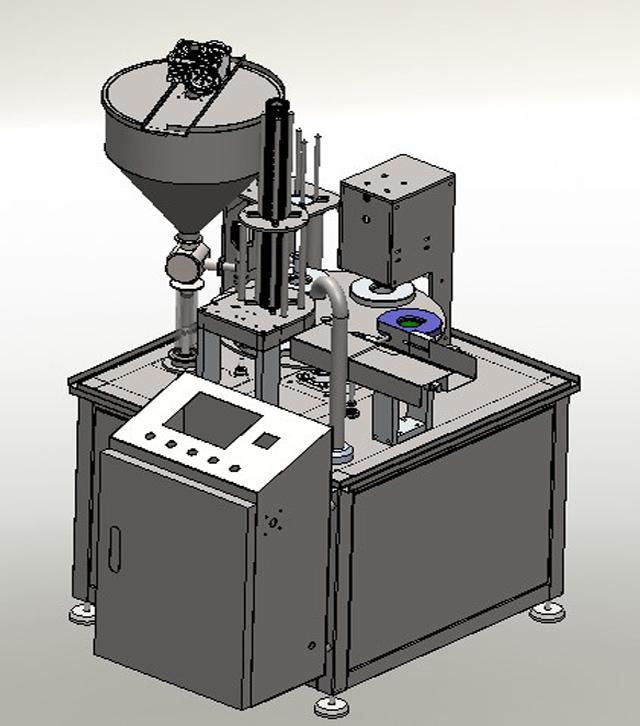 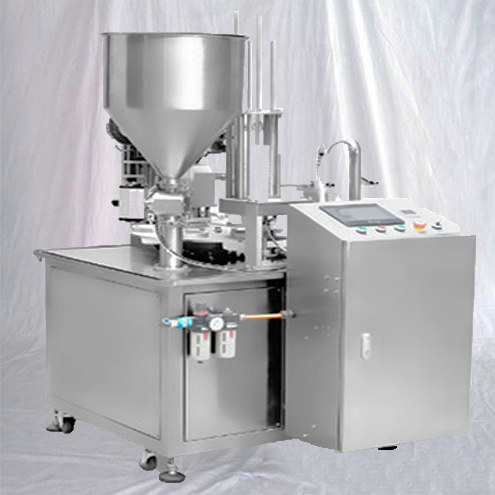 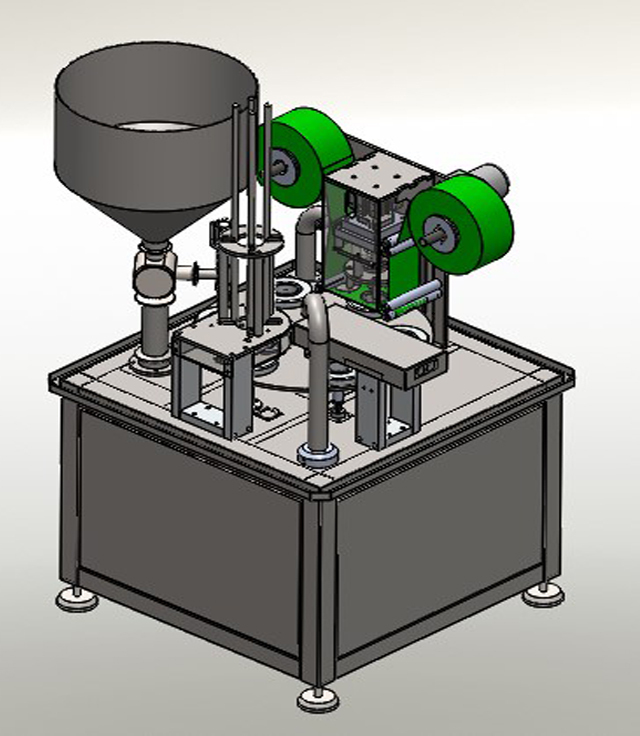 Empty cup loading function: it using spiral separating and pressing technology which can avoid the cup damage and deforming, it has vacuum sucker which can guide the cup enter into mold accuracy. 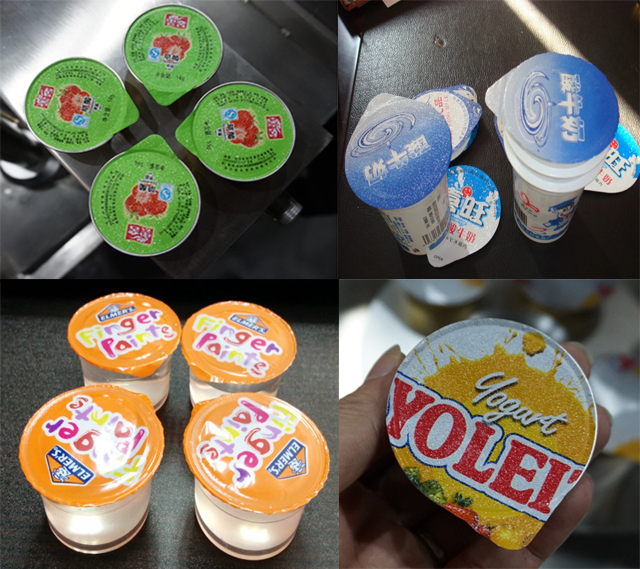 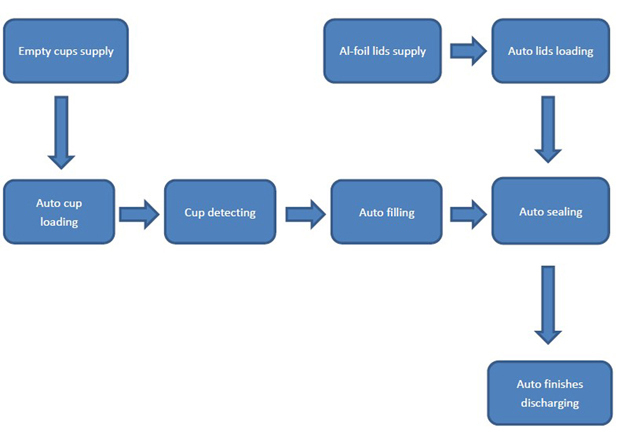 Empty cup detecting function: it use photoelectric sensor or optical fibre sensor to detect the mold have or haven’t empty cup, it can avoid the mistake filling and sealing if the mold without the cup, reduce the product waste and machine cleaning. 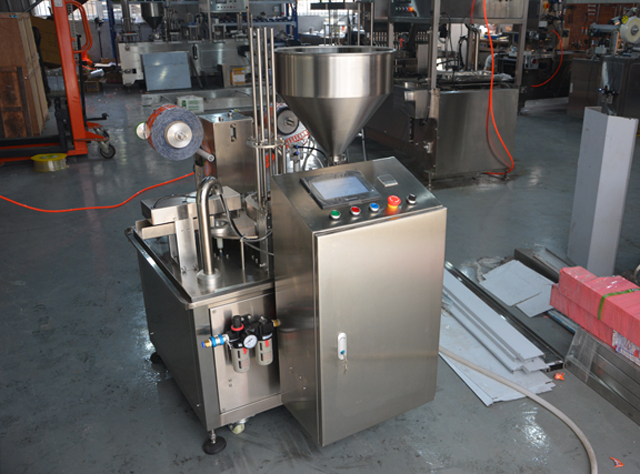 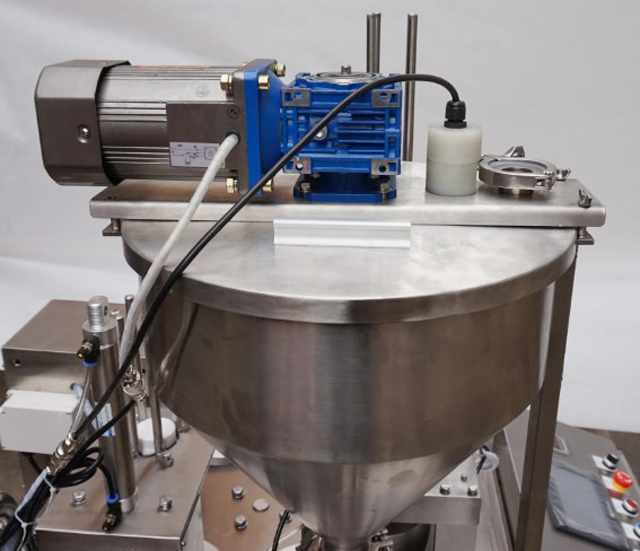 Quantitative filling function: it use piston filling and cup lifting function, no splash and leakage, the filling system tool free disassemble design and also have CIP clean function. 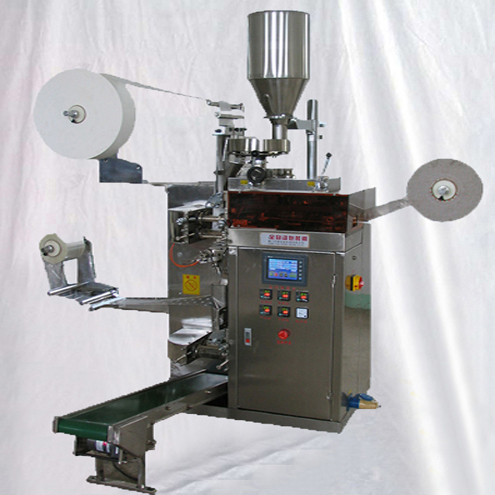 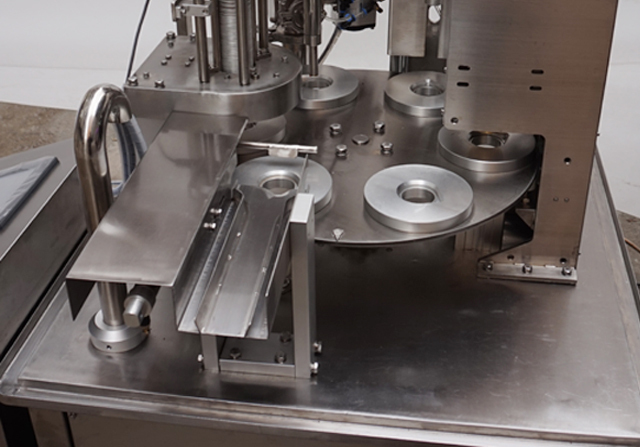 Aluminum foil lids placing function: it make up by 180 rotate vacuum sucker and lids magazine, it can place the lid on the mold fast and accuracy. 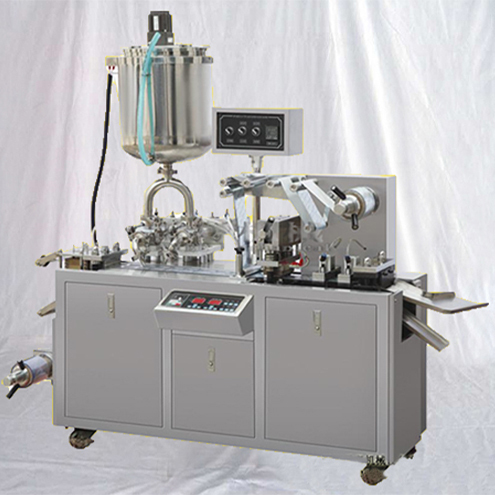 Sealing function: it make up by double clamps heating seal molds which special design for aluminum cups, the sealing temperature can 0-300 degree adjustment, based on Omron PID controller and solid-state relay, temperature difference less than +/- 1 degree. 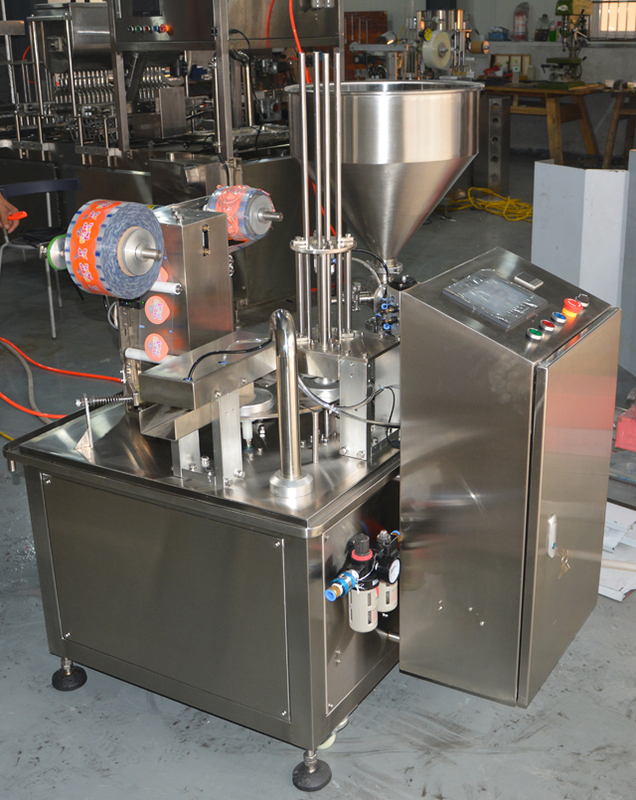 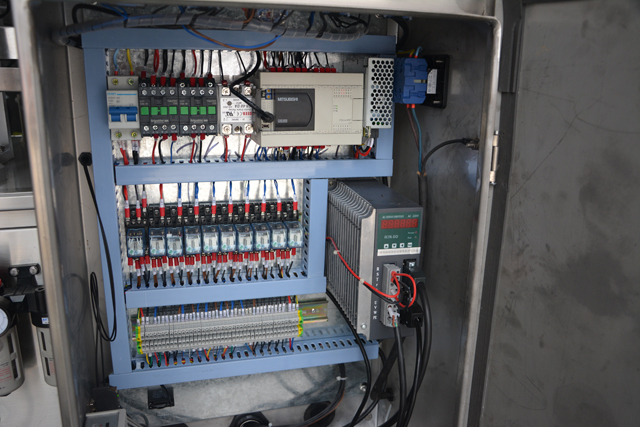 Discharge system: it make up by cup lifting and pulling system, faster and stable. 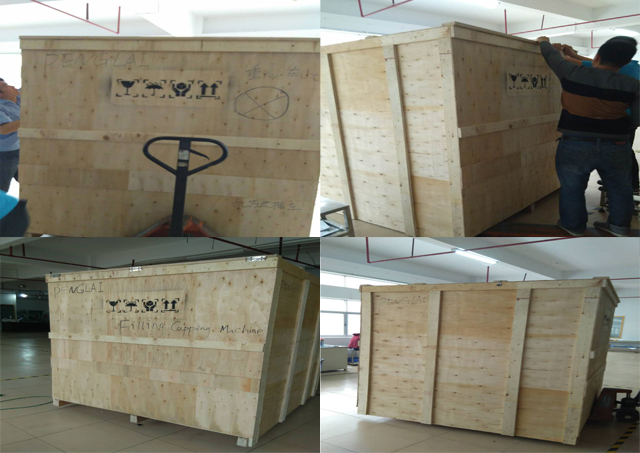 Safety guards: it is optional function, it make up by PC plates and stainless steel, has safety switches which protect the operator.